Denisa provides counselling and psychotherapy to individuals (16+) and families. She is registered with the College of Registered Psychotherapists of Ontario (CRPO) and a professional member of Ontario Association of Consultants, Counsellors, Psychometrists and Psychotherapists (OACCPP). 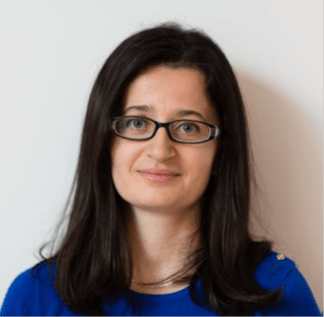 Denisa believes that therapy is most effective when it is a partnership between the client and the therapist, and where they work together to help the client make changes. She believes that everyone deserves a safe and judgment free space where they feel heard, respected and validated. She utilizes therapeutic approaches such as CBT, DBT, Solution-Focused Therapy, Mindfulness, and the Family Systems Approach. She works from an Attachment and Trauma informed framework. Denisa has over 10 years of experience working with youth, adults and families. She has worked with clients struggling with depression, anxiety, self-esteem, stress, chronic pain, motor vehicle accidents, difficulty adjusting, communication skills and conflict resolution, relationships and breakups, interpersonal or family conflict, and behavioural and addiction struggles. Denisa offers evening and weekend appointments.